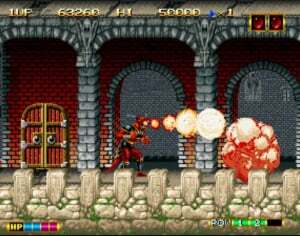 One of the first games produced for SNK’s arcade system, Magician Lord is a lot like Capcom’s Ghouls ‘n’ Ghosts. You play the titular wizard as he battles to defend his homeland from the evil advances of the absurdly named Gul-Agieze. Considering the age of the game the visuals and sound are both excellent. The sprites themselves look a little dumpy and animate awkwardly but they still manage to look impressive, and the generous use of sprite scaling also helps the visual side of things. The music is nothing short of stunning, with the first level theme being especially worthy of praise. The biggest hook of the game is undoubtedly the transformations. At set points in the game your character can turn into one of six different beings – Dragon, Waterman, Poseidon, Shinobi, Samurai and Raizin. Each form has different powers and attributes that help progress through particular parts of the game. Sadly these transformations are time-limited, but your standard ‘wizard’ form is usually more than adequate to tackle the challenge ahead. 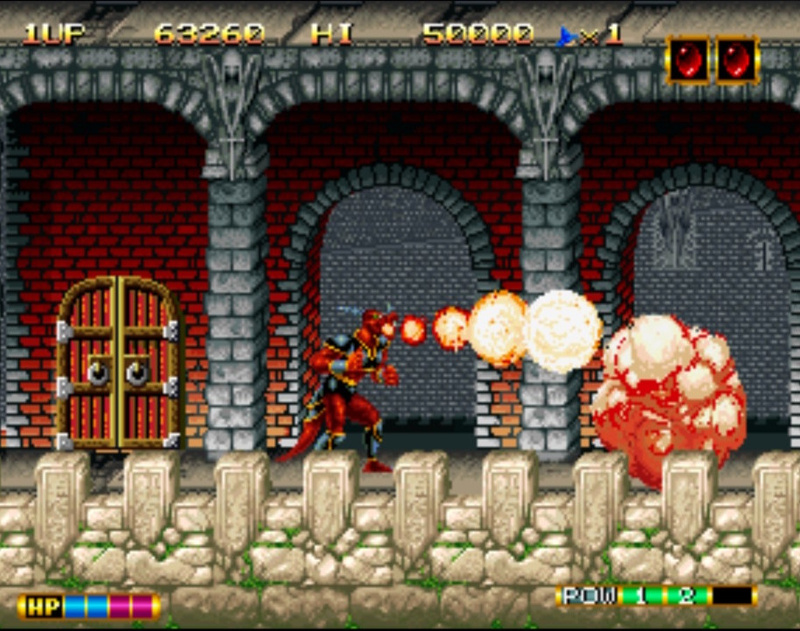 Like Ghouls ‘n’ Ghosts, Magician Lord has a fairly harsh difficulty level. If you like your games to be challenging then this should be right up your street. Thankfully, it manages to avoid being totally frustrating. While it doesn’t quite reach the same level of brilliance as Capcom’s aforementioned fantasy epic, Magician Lord is still a classic game and the fact that people still regard it as a decent platform romp speaks volumes for the quality of this appealing title. I just realized, this is the only 1 player Neo Geo game on VC reviews so far. The game has 8 stages. Every stage (except for the last one) consists of an outer stage, inner stage, mini boss and a boss. You can save your progress after each stage to the virtual "Memory Card" and there are unlimited continues. 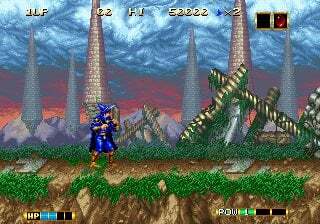 This makes the first 7 stages pretty easy if you are accustomed to games like Castlevania or Ghosts'n Goblins. Advantageously, when you reach the boss of a stage and lose your lives, you start again at the boss even after continuing. This means if you manage to reach the boss of a stage you've as good as won. But be warned though: The 8th level is hard as nails and the save/continue feature doesn't help here: You have to defeat all 7 mini bosses and(!) the final boss of the game in a row without continuing. If you lose your 2 lifes you have to start at the beginning of the stage. This is extremely challenging, not to say nearly impossible. The versions of Magician Lord on the SNK classics collection are much easier. Even after continuing you restart where you died. This makes the game easy like a walk in the park. The Virtual Console version is much more unforgiving. By the way: After some research I've found out that the original arcade machine has difficulty settings from 1 to 8 where 1 is easiest and 8 is hardest. I think the VC version is set to 2 or 3 and you can't change that. Sounds easy? Well, not really. At least not in the last level when you desperately try to beat the final boss and you are always sent back to the beginning of the stage. Also worth mentioning: There is a minor issue with the emulation. On the hiscore entry screen the game runs too slow and the music sounds akward. But since you never spend more than 10 seconds on this screen, this shouldn't be too much of a problem. Also when I first fought the final boss the game hung up itself. But that may be a coincidence. 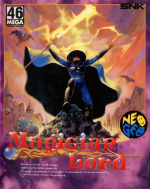 My conclusion: Magician Lord is a great game in the spirit of classics like Shadow of the Beast, Altered Beast, Castlevania or Ghosts'n Goblins. It has great graphics and music (one track even sounds a little like "Intergalactic" from Beastie Boys). But if you really try to beat the final boss you will find it a very hard nut to crack.